Editor's Note: There are four photos associated with this news release. 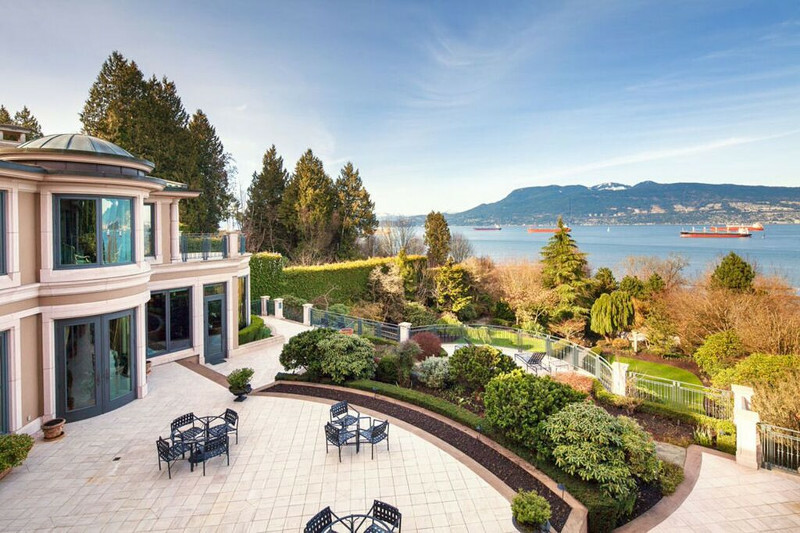 Sotheby's International Realty Canada today unveiled one of Greater Vancouver's most significant, privately held residences, Belmont Estate. 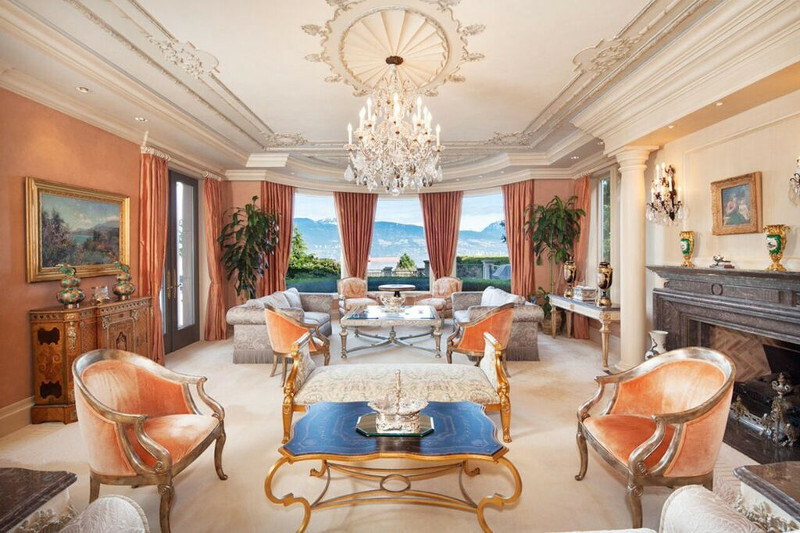 Situated on 1.28 acres, the elegant, custom-commissioned and designed 21,977 square-foot property is the family home of prominent Canadian philanthropists Mr. and Mrs. Joseph and Rosalie Segal. 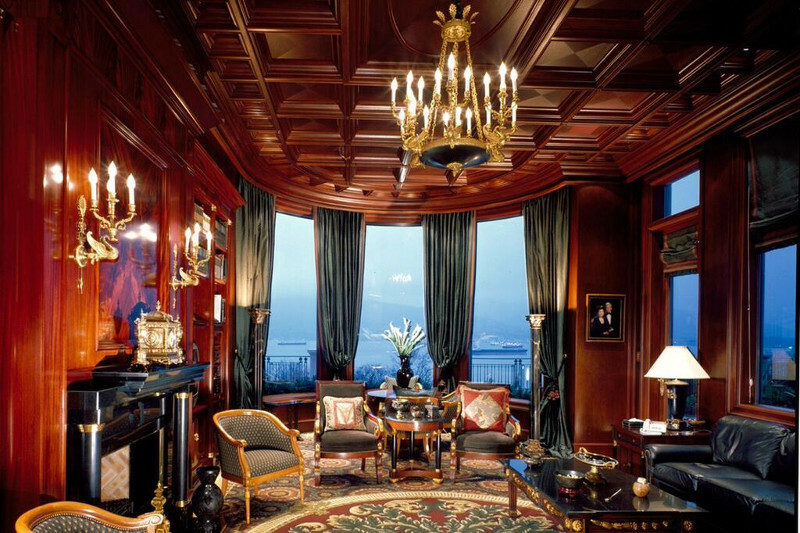 The $63 million listing price sets a record for real estate in Greater Vancouver's history. Designed by the acclaimed Ernest Collins Architect Ltd., the palatial home opens from a private Porte-Cochère entry into two main gallery halls with seating for 80 to 100 guests for private concerts and events. A sweeping grand staircase is lit by a French Ormulu chandelier, just one of the many historical pieces that complete the aesthetic of the Estate. The living room features a fireplace and Tai Ping custom made carpet. The home's intimate dining room seats 20 guests and features a Hokanson custom made carpet. All doors throughout the home are made of solid wood and the fine detailing of the Estate is extensive and exquisite with walls and ceilings featuring murals and artwork. Belmont Estate boasts five bedrooms and twelve bathrooms with all three storeys of the manor accessible by an elevator found in the west wing of the home. An Italian-inspired kitchen with sitting area and fireplace, indoor pool and sauna, six-car garage and a private entrance in-law's suite are among the amenities that make this luxurious residence a classic and timeless home. "Belmont Estate represents a rare opportunity to own a residence that is iconic to Vancouver and British Columbia, on one of the most prestigious streets in Canada," said Christa Frosch, listing agent with Sotheby's International Realty Canada. "No other property of comparison has been offered in Greater Vancouver to date; the fact that its long-standing owners are beloved in our community for their philanthropic dedication to the City of Vancouver only adds to the home's heritage. I believe that the buyer of this home will have a passion for art, history, luxurious landscapes and timeless design." Please contact the Listing Agent, Christa Frosch, in regards to any further questions relating to the Belmont Estate. About Sotheby's International Realty Canada Combining the world's most prestigious real estate brand with local market knowledge and specialized marketing expertise, Sotheby's International Realty Canada is the leading real estate sales and marketing company for the country's most exceptional properties. With offices in over 30 residential and resort markets nationwide, our professional associates provide the highest caliber of real estate service, unrivaled local and international marketing solutions and a global affiliate sales network of approximately 850 offices in more than 65 countries to manage the real estate portfolios of discerning clients from around the world. 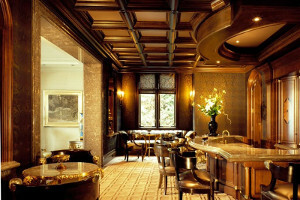 Georgian inspired Classic Bar with coffered ceilings and French Walnut. Library Sitting Room with Hokanson custom made carpet, French Walnut Coffered Ceilings and ocean views overlooking Burrard Inlet. Spectacular ocean views of Spanish Banks, the Strait of Georgia, West Vancouver, Downtown Vancouver and the North Shore Mountains, the Estate is located in Vancouver's most prestigious neighbourhood.